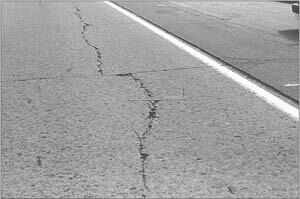 A crack or discontinuity in a pavement that runs generally parallel to the pavement centerline. Longitudinal cracks may occur as a result of poorly constructed paving lane joints, thermal shrinkage, inadequate support, reflection from underlying layers, or as a precursor to fatigue cracking. 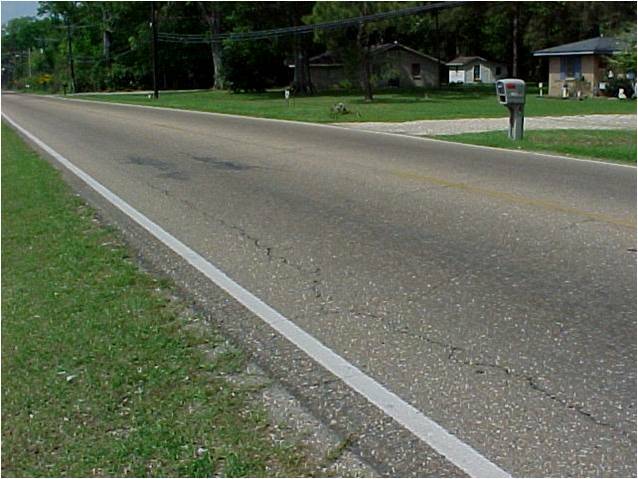 Longitudinal cracking that occurs in the wheel path is generally indicative of alligator cracking.